When I was younger, I lived a very active lifestyle. I actually grew up as a competitive figure skater, and I took dance classes in ballet for seven or eight years (as well as trying jazz and modern dance as well) to supplement my ice skating. After 10th grade I had stopped skating, but that year instead I joined two junior varsity sports teams at my high school: volleyball and tennis. During my senior year of high school I didn't play on any sports teams, but instead I joined a local gym. I loved working out a few times a week, as well as going to Zumba classes at the gym with my girlfriends. But then a little thing called college happened. Over the past three years, I have been so focused on schoolwork, this blog, and work/internships (especially those that will try to benefit my hopeful future career in radio), so fitness often gets pushed to the back-burner of my life. I do try to make some small healthy decisions each day: such as this past year when I lived on the fourth floor of a dorm building, I tried to take the stairs as much as possible instead of the elevator. But still, I know that I really need to get back into a regular fitness routine this year! 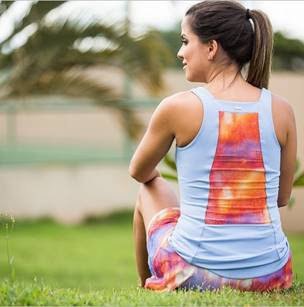 The Track&Field Store is Brazil's largest fitness and lifestyle brand of apparel. They are just starting to expand into the United States, and Charlotte is the home to their third (and brand new!) US store. The Charlotte location of The Track&Field Store opened in May, and is located in Charlotte's luxury mall, SouthPark Mall (one of my favorite places to shop when I am in the Queen City!). Ron and Silvia Skufca, co-owners of the The Track&Field Store's Charlotte location, said that "We know that residents in Charlotte and the surrounding area lead active lives, and look for high-quality products that fuse fashion and function together, which makes the brand a perfect fit for this region." I couldn't agree with that more! I will be doing a fitness style collaboration and visiting the Charlotte location of The Track&Field Store once I am back down South in a couple of months. Until then, I encourage any of my Charlotte readers to go and check out the new store! What types of activities do you enjoy doing to stay fit? I am hoping this Fall to start going to some of the dance based workout classes that my school's gym offers, and to also start power walking more often on the treadmill in the gym as well (running and me don't mix ;-) ). 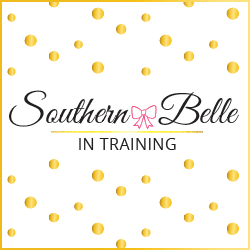 Thank-you to The Track&Field Store for partnering with Southern Belle in Training blog. 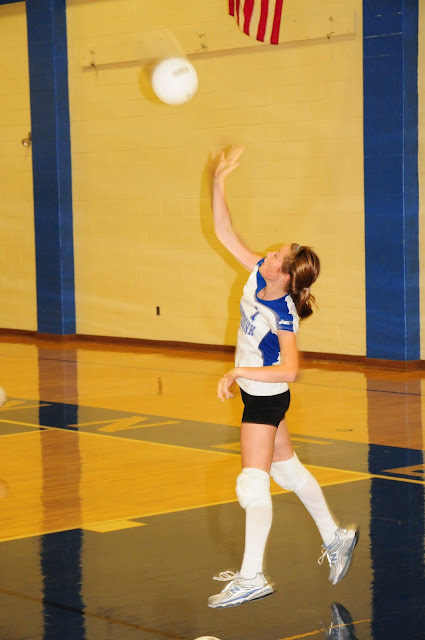 11th grade - serving in a home game for my high school volleyball team! Oh wow! I'll have to check them out the next time I'm at Southpark! I typically run, do the elliptical (my new fave), or do Pinterest workouts! The best fitness pills always help you to get the best body fitness without doing any hard work out or using the diet plan, from this worldfitnesscr.com/ everyone can get the best fitness drugs for them which can help them to improve their body fitness and health. For me, I usually run/walk a mile a day. I am one of the few people I know that actually enjoy running (having been a sprinter could have something to do with it). I use to go to the gym but now I am doing more at home body-resistant stuff. I also go to the driving range or play tennis when I get the chance. I've always looked at this store in curiosity when passing by on my way to my part time job. I haven't had a chance to pop in but I keep telling myself I need so when I have time. I'm all about yoga, barre, cycling and running when I can force myself to do it. Ahh, girl! Take advantage of that campus gym membership while you still have the opportunity! I miss having that sooo much! If you haven't tried a barre class yet, I definitely recommend it! I danced for 15 years, but barre toned muscles I didn't even know I had! sports person's ability to perform also depends on sports strapping. We are a proper Cricket Shop. We have huge stocks, great service and competitive prices. You can order online or visit one of our stores where we have a great selection of products from all the best manufacturers. Sounds great, You must have been trying the www.gettrampoline.com as well to find the best way to stay fit and healthy, Pleased to be seeing more from you in future. there is a kind of "generally accepted" use for them, but individuals often rely on own interpretation, and this can lead to confusion. The natural ingredients in the legal Dianabol Formula is essential for significant muscle growth and rapid muscle gains. For more information on the natural Dianabol in Canada, visit www.CanukLoves.com. References - Velez, Valeria. 2018. “Phen375 estudios científicos: recetas para bajar de peso.” Adelgazaroficial.Com Ie. Adelgazar Oficial. Accessed November 23. https://adelgazaroficial.com/phen375/.